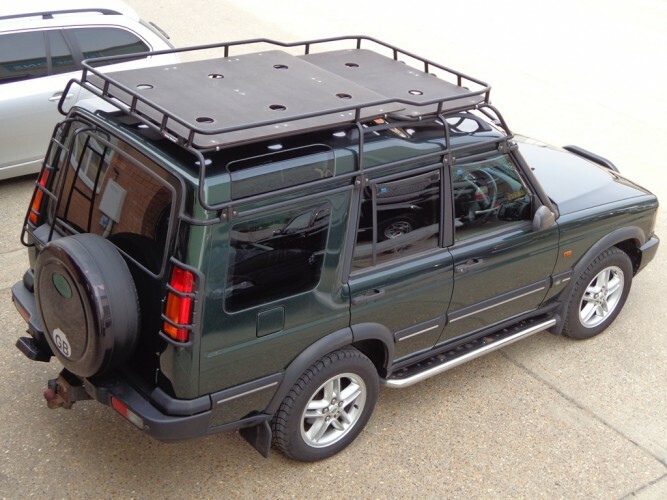 Highlander' roof rack for mounting to the rain gutter. Full luggage rail (i.e. 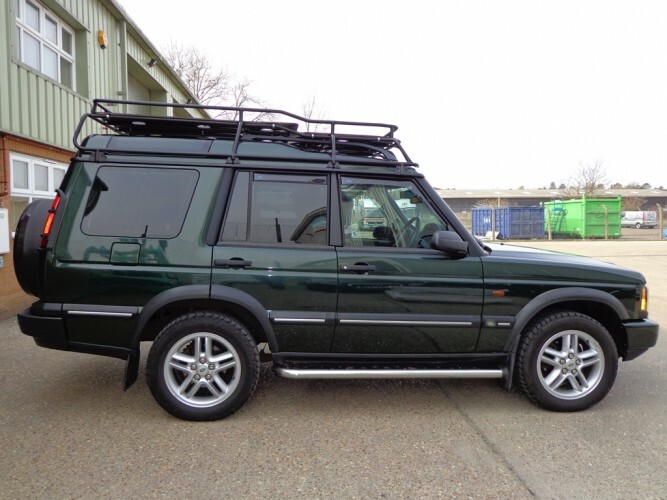 there are no 'open' sides of the roof rack). 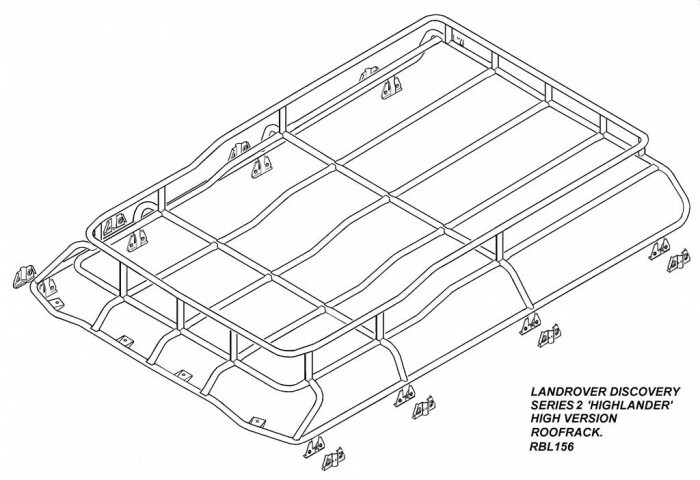 Neatly follows the profile of the vehicle's roof. 4 lamp brackets at the front, 1 at the rear. 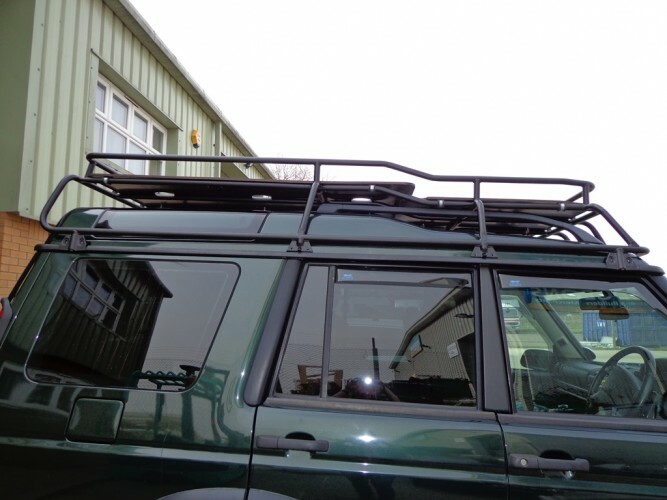 Roof rack will also fit with factory fitted 'oversized' roof bars. 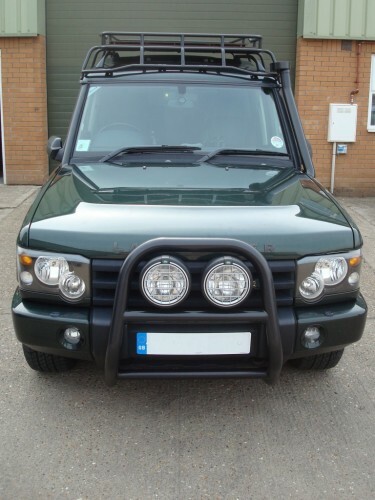 RRL156 0RRA - 'Highlander' roof rack with full luggage rail, for mounting to the rain gutter. Weight: 29kgs. RRL156 0FL - Birch ply floor (1 floor with 2 'levels' plus all stainless and galvanised hardware for mounting). Weight: 19kgs. 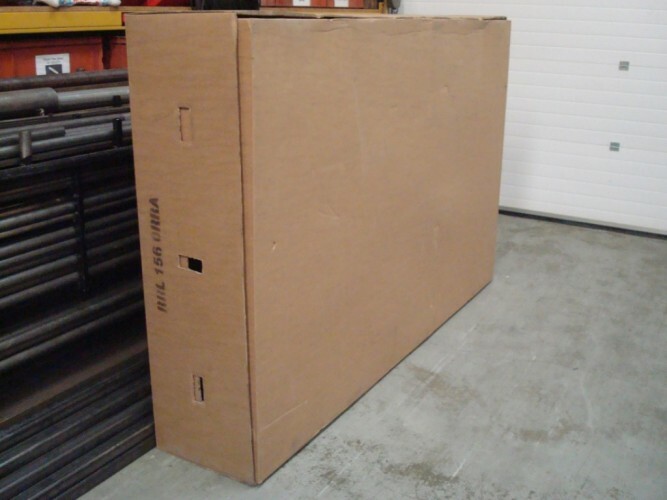 Packing dimensions and weight: 1 cardboard box, not stackable, 248cm long x 159cm wide x 46cm high, or if stood on its side, 248cm long x 46cm wide x 159cm high. Weight: 44kgs. 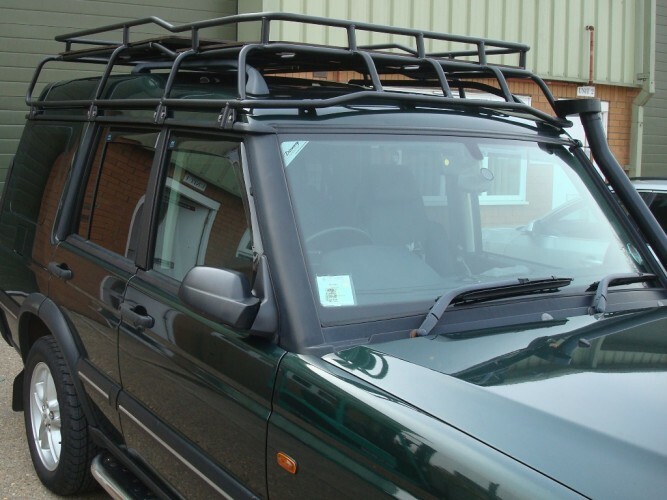 Roof racks are grit blasted, primed with a zinc enriched powder undercoat, and finished with a durable black powder coat. Will allow limited use of the sunroofs although cannot be opened fully. A ladder is not available for this roof rack yet. 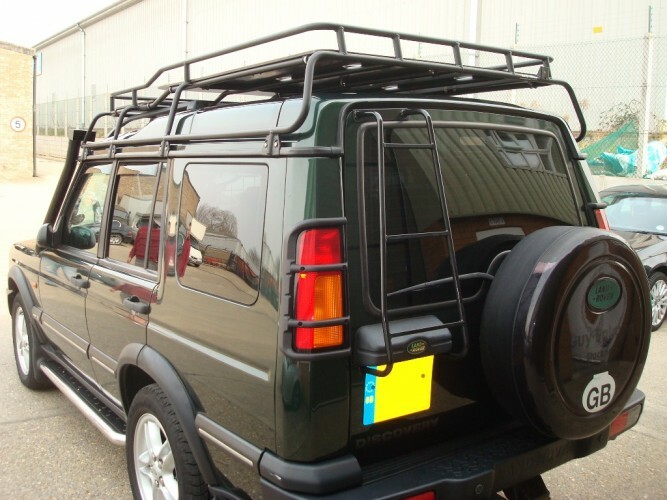 All roof racks are provided with all bolts and fixings for attaching it to your vehicle. Full fitting instructions are also included. 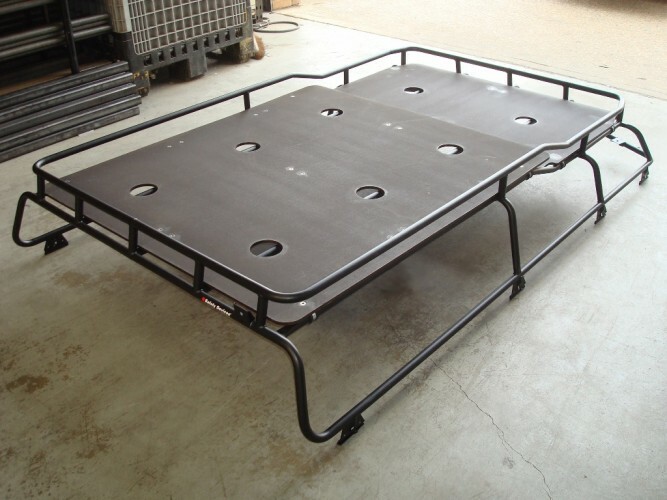 Fitting time for the roof rack is approximately 30-45 minutes with 2 people.